I would suggest to name this spider Oecobius Elegans (little joke) The measurement between the widest legs is 7.5 cm! 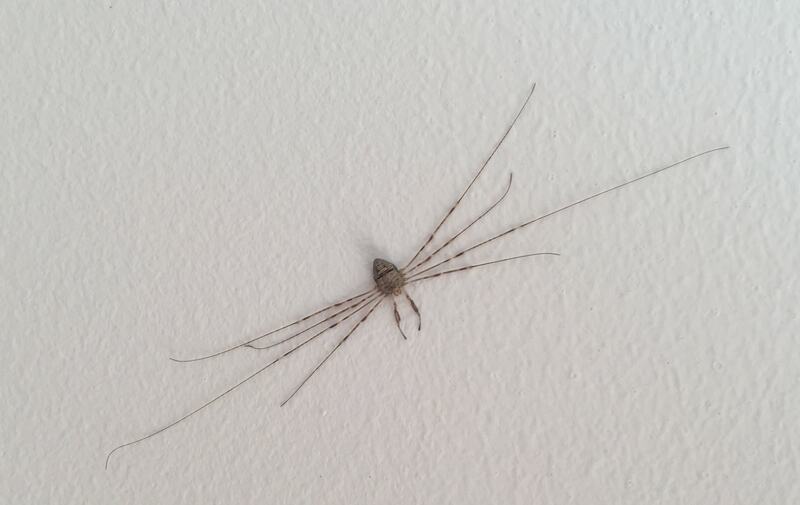 This is not a spider but an Opiliones, also known as harvestmen or daddy longlegs. It is an arachnid but belongs to a different order than spiders. The difference is that spiders have two body parts, clearly differenciated by a waist, whereas opiliones body is just one single piece.